It has taken months of work and dedication for the Campo de Cahuenga Memorial Historical Association to restore and reopen its historic treasure. 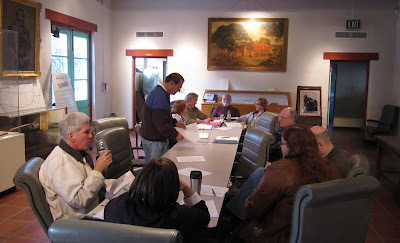 Now, on selected Saturdays the public can visit one of the most important historical sites in California, because of its all-volunteer Board. 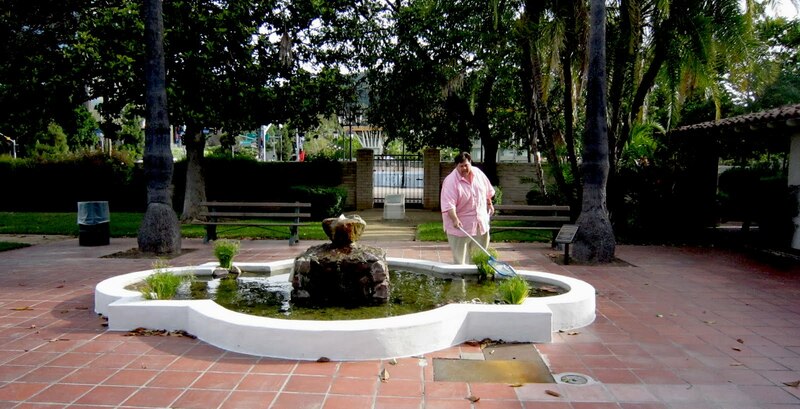 Campo Board Member Richard Bogy not only donated funds to restore Campo de Cahuenga's historic fountain, and now takes time to maintain the fountain pool for visitors as well. 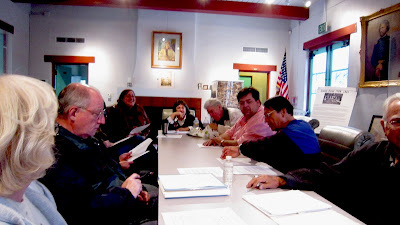 Working to preserve the site where America became a nation from sea to shining sea, Campo de Cahuenga's Historical Memorial Association meets regularly to plan events and keep the site in shape.